Now that summer is upon us, my thoughts turn to two seasons that go along with the warm weather: hurricane season and baptism season. 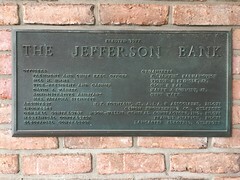 Until well into the 20th century in this Baptist-heavy state, immersion baptisms typically took place in rivers or other natural bodies of water, and summer and fall were the natural seasons for these congregational events. If you’re not familiar with the tradition, maybe you’ve seen Oh Brother, Where Art Thou? Or this historic postcard image from Vicksburg in the MDAH Cooper Postcard Collection. 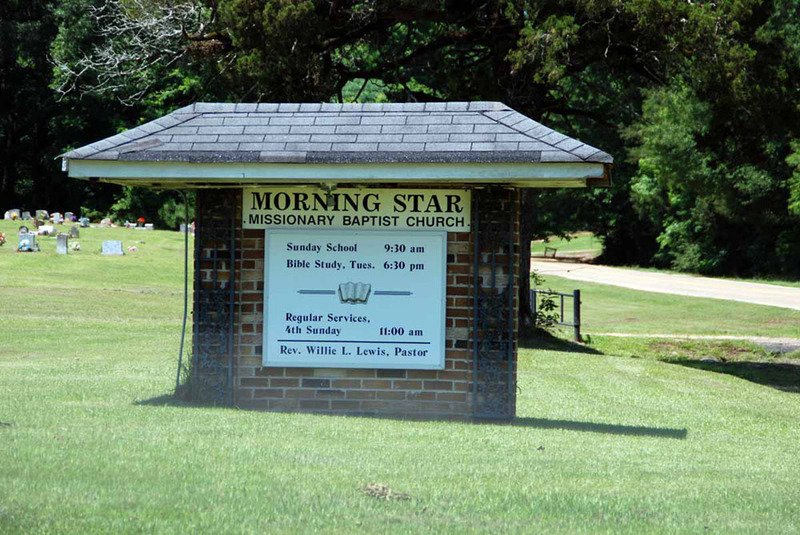 At least until the middle of the twentieth century, outside baptisms weren’t just for rural African American congregations. In the 1980s, I myself was baptized in an Olympic-sized swimming pool in Florida, a point of perhaps un-Christian pride on my part. But by then, that outdoor experience was becoming an outlier, and most congregations had built baptismal pools inside their sanctuaries. This allowed year-round baptisms and a more dignified baptism service, albeit a less interesting one in my opinion. Even given my own outdoor baptism, I never gave much thought until a few years ago to how congregations might have done outdoor baptisms without regular access to a river or to an Olympic-sized swimming pool. 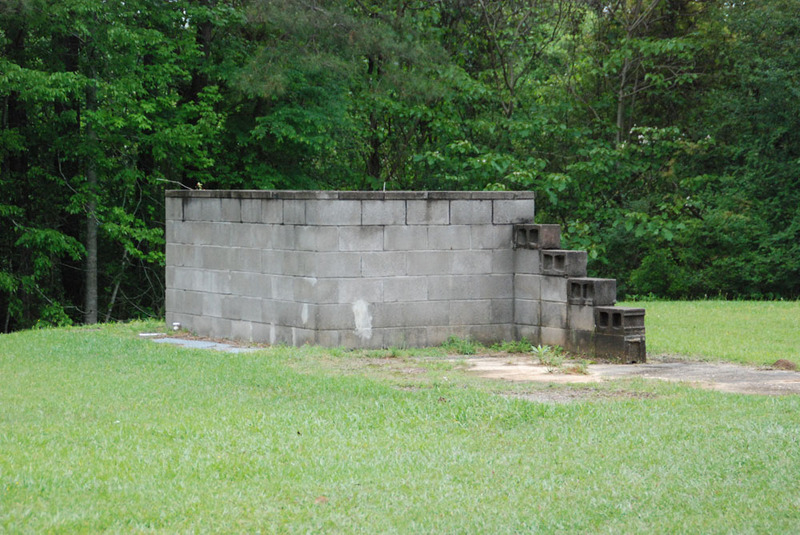 It was when I was poking around the cemetery at Bleak House Baptist Church, an African American congregation in Wilkinson County, that I spotted this structure, and after a few minutes of pondering, realized it was a defunct poured-concrete baptismal pool. 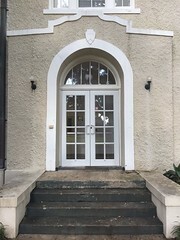 It has steps both on the outside and inside and is situated in a hollow that would have allowed members to gather around and view down into the pool. 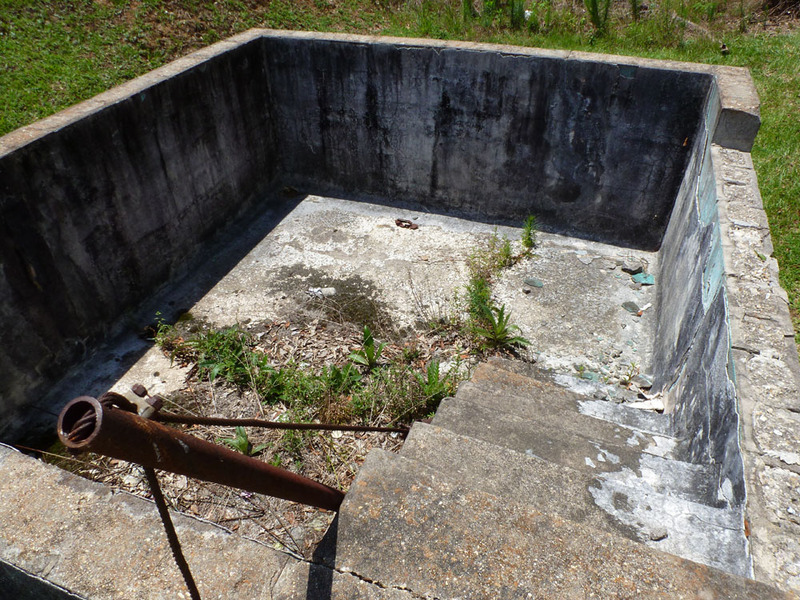 Since then, I’ve been keeping an eye out, and last year I spotted this concrete-block pool at Morning Star M.B. 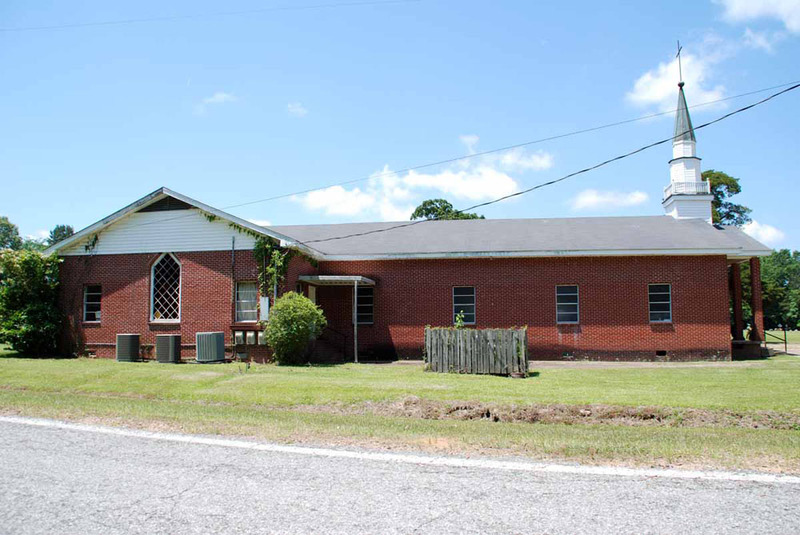 Church in rural Hinds County. No steps inside, and congregants wouldn’t be able to see down inside as easily as at Bleak House. The last outdoor pool I’ve noticed is at Antioch M.B. 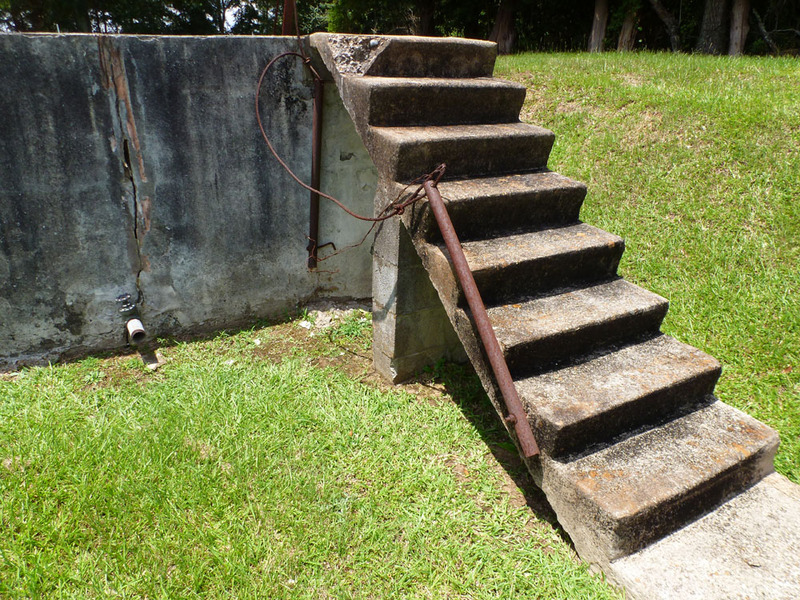 Church in Walthall County, next door to the Ginntown Rosenwald School, where the steps are a little more precarious and may represent one surviving side of a wood staircase. When I stopped by in April, a good crop of dewberries was working toward ripeness inside the pool itself. 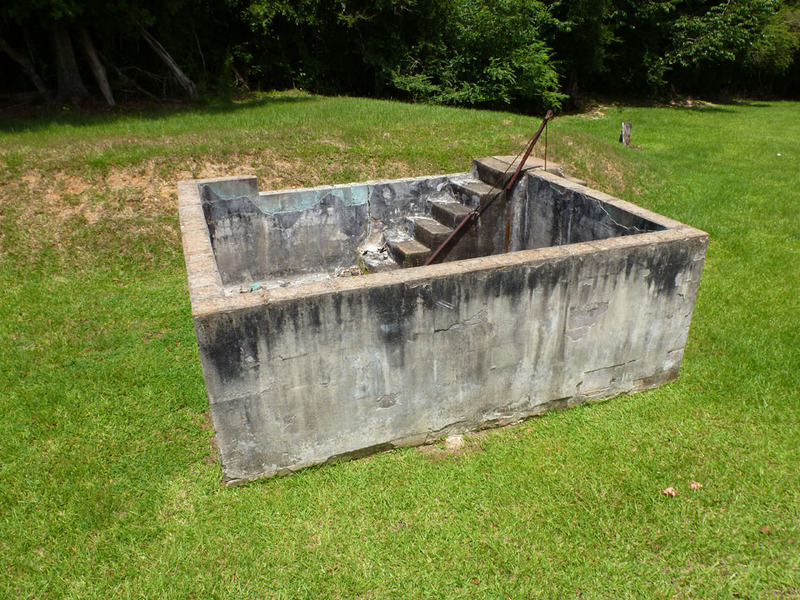 Although none of these baptismal pools are functional today, they have all been preserved on the sites of active congregations in rural Mississippi. 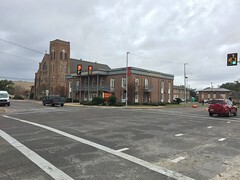 They are all also African American churches. I’ve never seen this feature at white churches, but if you know of one, let me know. At the same time I’ve been looking at these baptismal pools, I’ve been examining the interesting concrete grave markers in the nearby African American cemeteries. 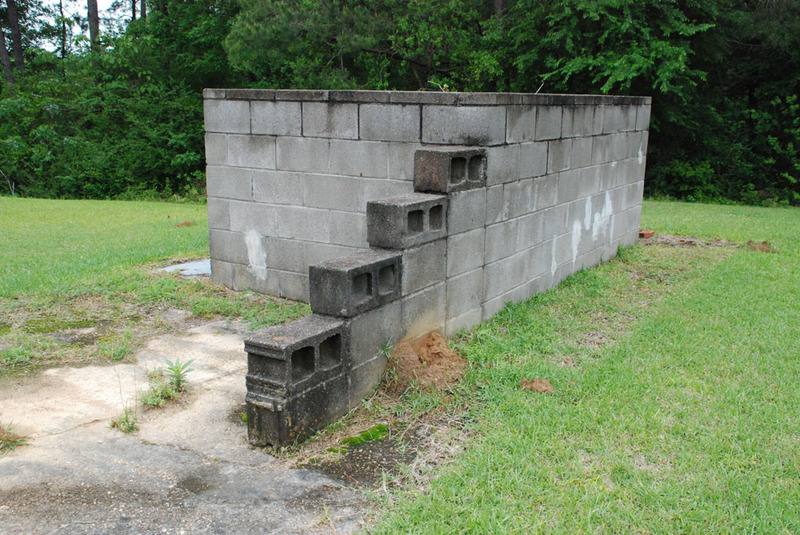 I think both the outdoor baptismal pools and the markers are part of a tradition of African American brick (and later concrete) masons that is starting to die out but that began way back in the late 18th and early 19th century when slave owners had their most promising slaves trained as brick masons. As Catherine Bishir notes in her recent book Crafting Lives: African American Artisans in New Bern, North Carolina, 1770-1900, many of these highly trained craftsmen were able to buy their freedom and even the freedom of their family members, and later became leaders of freedmen communities after the Civil War and into the twentieth century. 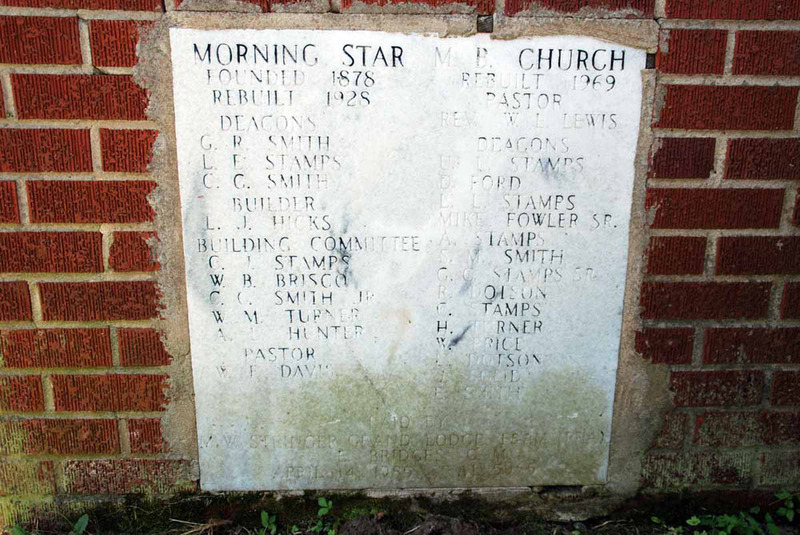 In the next few months, I’m going to be posting pictures of the concrete grave markers I’ve found, many clearly hand-made, and probably by artisans in the community, and maybe we can get a better understanding of this overlooked but important aspect of Mississippi African American communities. This post is part of a series. Read more? 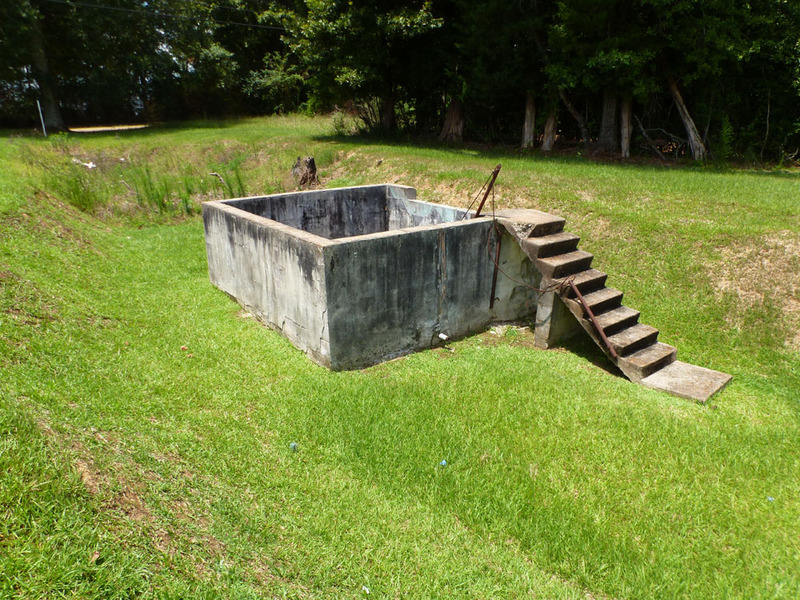 I have never seen one of these outdoor baptistries, but will keep my eyes open for them now. Probably very rare in the Delta, as we are not lacking in water sources. Some of the best photos that showed up in the long-lost Calvin Cox Collection (Greenwood:Mississippi Memories Volume II) were of a river baptism in the late 1930s, likely in Yazoo River or Pelucia Bayou. 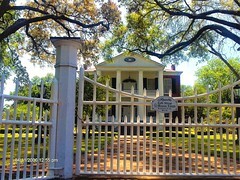 I have one very similar to this outside of Natchez, Ms! Thank you for including the gravestones. 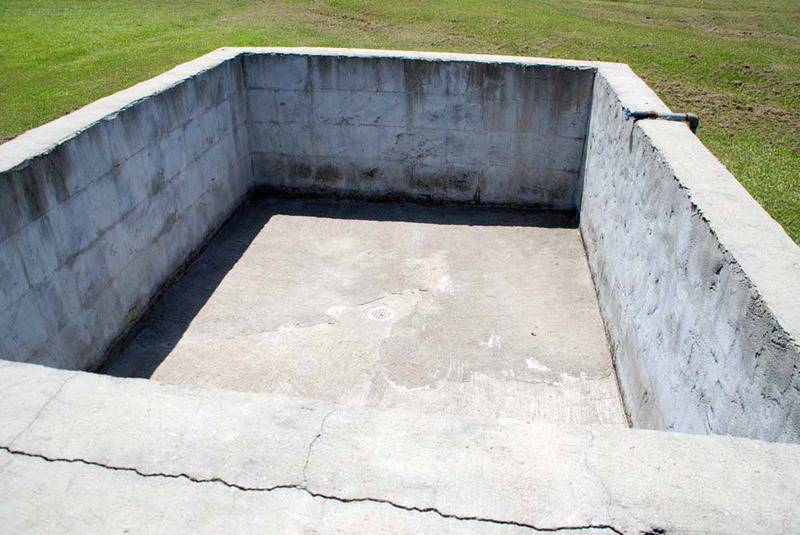 Very interesting–I do not recall ever having seen an outdoor baptistry. 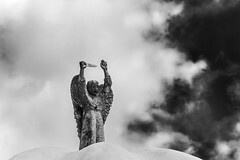 I photographed some interesting hand-made concrete headstones at a church near Tippo–first time I had ever seen them. 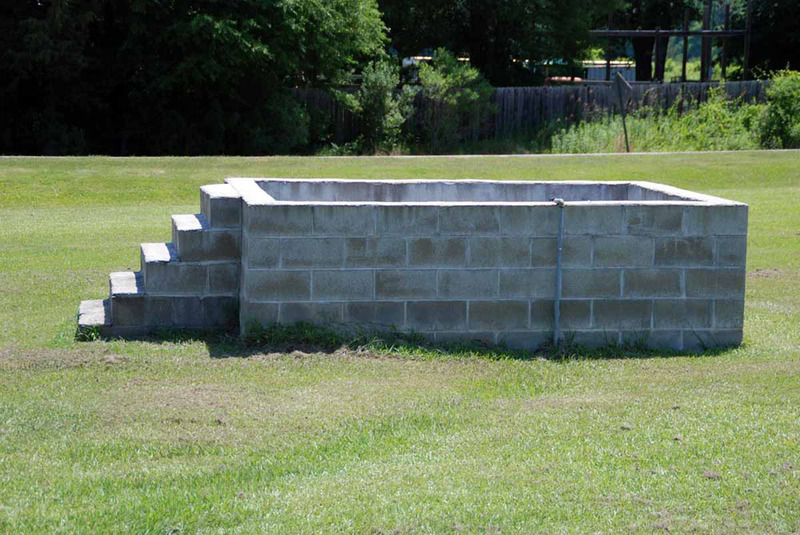 I remember an outdoor brick baptismal pool at a church in Garner, NC. 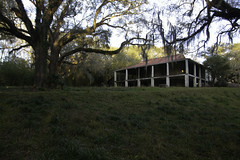 The building is still standing at 1001 W. Garner Road but I cannot see the pool in Google Streetview or satellite view. 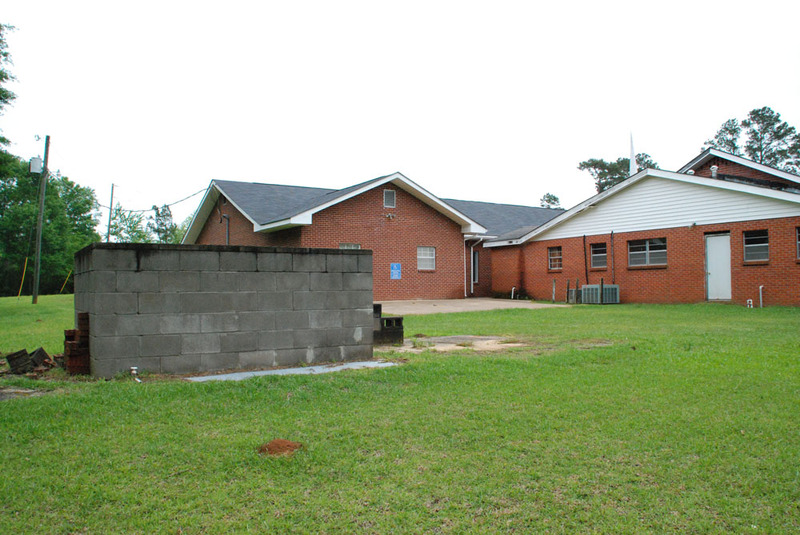 The church is stone, but the pool was brick and had railings made of galvanized pipe. My memories of this are from over fifty years ago and it looked disused at the time, although that may have been inaccurate; filled with water, it would have come back to life at once.